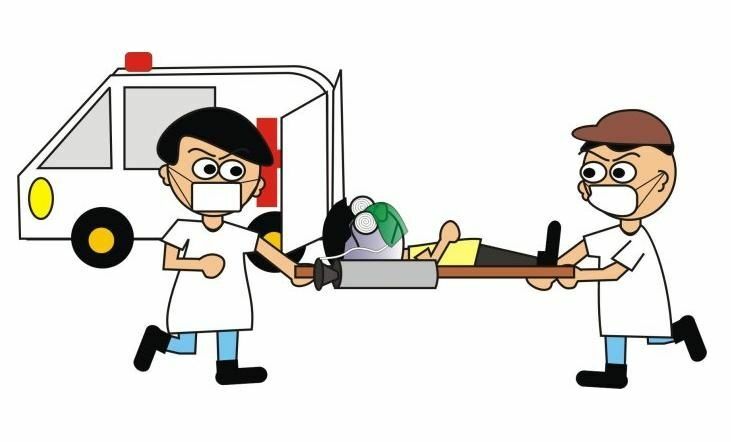 1.Rescue points symptoms of angina patients: Cerebrovascular accident (stroke): intracerebral hemorrhage,subarachnoid hemorrhage,cerebral thrombosis,cerebral embolism. Symptoms: Sudden pathogenesis,may have dizziness,headache,vomiting,aphasia,salivation,mouth askew and partial paralysis,and might have a coma,stool incontinence. First aid measures: in-place side,without moving,for lifting and moving should be stable; Remove the denture,cleaning oral foreign body,keeping the airway open.Use ice packs or cold towels placed on the forehead of patients,in order to facilitate increased intracranial pressure,keep warm; Monitoring pupil,respiration,pulse,blood pressure and other vital signs,the best conditions of oxygen; An emergency call 120. Sudden death refers to a sudden unexpected death of there is no advance warning. Some actual cases of sudden death,occurs in some of the following situations: Strenuous exercise: Daily life will encounter instances of sudden death occurring in running,swimming and other sports. Syncope fall: When some people get up at night to urinate,fall in bed and died.This is due to sleep at night,the parasympathetic excitability increased,coupled with the discharge of urine after night-abdominal pressure suddenly drops,slowing from the inferior vena cava blood back to the heart of the night rate,reduced blood to the heart and brain,ischemic and fainted. Hypertension,vascular tumors and other patients,should not be angry rage,or prone to accidents.This is due to the strong stimulation,highly excited sympathetic adrenal secretion increased dramatically accelerate heartbeat,blood vessel spasm and pressure changes,so that the original hemangiomas and vascular hypertension caused by rupture. （1）Since the sudden death occur mostly on the basis of the original disease,we should actively control has been suffering from chronic diseases such as hypertension,coronary heart disease and so on.According to the data indicate that lead to sudden death due to coronary heart disease is about 50%. （2）Avoid mental stress,mood swings and other predisposing factors for sudden death.It should pay attention to the physical and mental training,good living arrangements,good at self-exclusion system troubles and anger. （3）Sickness medication,doctors should be specified,to avoid toxicity.When the night insomnia,served sedative hypnotics,not excessive. （4）Participate in various activities,should be within their means,not reluctantly.In running and other sports sudden chest pain,palpitation,dizziness,breathing difficulties,you should stop exercising immediately. （5）Learn first aid health knowledge,timely detection and proper rescue is crucial. （6）Daily activities for the elderly place,room,bedroom and other furniture items should be adequate arrangements and arrangements taken to prevent tripping or slipping situation. Heat stroke is a serious hazard to human health and life.Heat stroke is generally manifested as sweating,thirst,dizziness,weakness,tinnitus,chest tightness,palpitation,paleness,nausea and vomiting,fall of blood pressure,body temperature and so on. Where there are trance,irritability,coma,convulsions,muscle involuntarily shake,dry skin without sweating so called moderate heat stroke. Frostbite is a common disease in northern winter,the light redness itching,severe cases can cause disability due to amputation.For this reason,we should have some first aid frostbite.Protection of frostbite site: occurs after frostbite should promptly cold with a blanket to protect the site,and the patient quickly escorted to room temperature 20 ℃-30 ℃ of indoor.Never rub broiled snow after frostbite,avoid the use of snow rub cold water immersion or direct with fire and so on,which can make the disease worse.